New York Times Defends Bombshell Rosenstein Report - Joe.My.God. 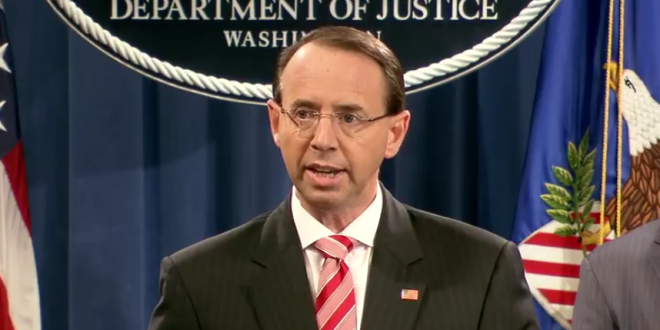 The New York Times on Saturday defended its bombshell report on Friday that Deputy Attorney General Rod Rosenstein discussed secretly recording conversations with President Trump last year and proposed the possibility of administration officials invoking the 25th Amendment to remove the president from office. The Times’s deputy managing editor Matt Purdy wrote in a statement Saturday that the newspaper stands by the reporting of its journalists, Mike Schmidt and Adam Goldman, who broke the story.